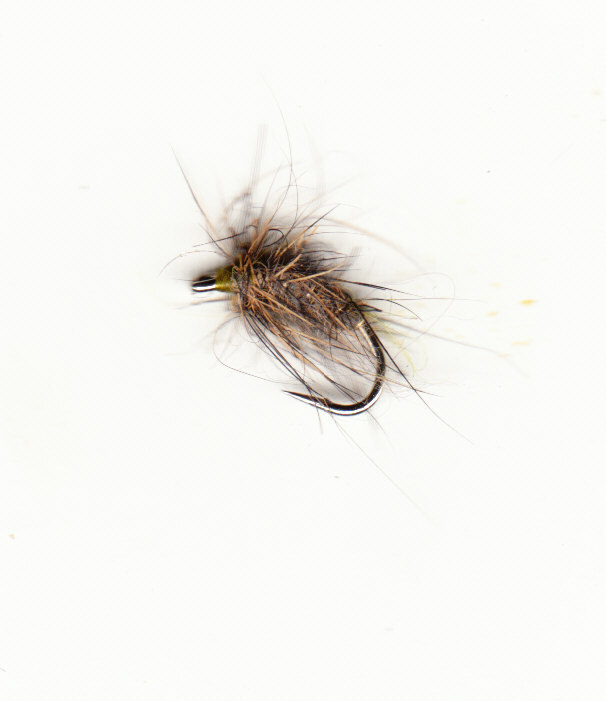 The method of tying a tippet with a nymph onto the bend of a big dryfly which then acts as a strike indicator has become an accepted technique across the world. However it is nothing new. In ' Teach yourself Flyfishing' Maurice Wiggin outlines the method in the chapter 'neither wet nor dry', only the method of attaching the tippet differs. Using a dryfly instead of a strike indicator appeals to many, (myself included) the bungs used seem more than a little crude but it is all down to the individual tastes. To further confuse issues I do not attach the tippet in the time honoured method favoured by most, there is something about the nylon coming off the bend that I do not like, it looks a bit cack handed. (not that the fish mind) I find it a struggle to fish with confidence (and enjoyment) unless all the detail of my tackle is right, like many others I suspect. If you make your own flies start with tying some 4ft tippets to the hook before tying the fly. Use half hitches of nylon to attach the tippet onto the shank of the hook before over whipping with tying silk, some glue or varnish does not go amiss here as well. The tippet tail rests over the vice and does not intefer while the fly is tied. 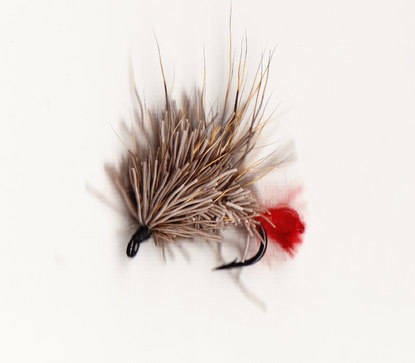 Spiny Norman is a pretty simple tying, a red wool/silk tail and then bunches of deer hair tied along the hook shank. After tying trim the hair away from the hook gape,(be careful not to cut the nylon tippet) You can tie up a whole range of these and store them on pole winders to have ready to use. Also bear in mind the point fly can be changed on the water to suit your needs, the important thing is to have a variety of Spiny Normans tied with tippets of you favourite breaking strains done. When the tippet becomes too short there is nothing to stop you tying on a fresh length to the tippet tail from the fly. If all this sounds a bit of a faff do not worry, the set up on the water is so much cleaner I find it more than worth the effort. These are the sizes I stock,if you need something different please ask. The price includes two flies and 3/4 feet of tippet. On any stillwater I would start with this rig, black early season, red and olive in the summer. The Hares Ear/ Spiny combo is a good choice on the river as well. The larger size Spiny is better for fast water on the river or in a wave on stillwaters. 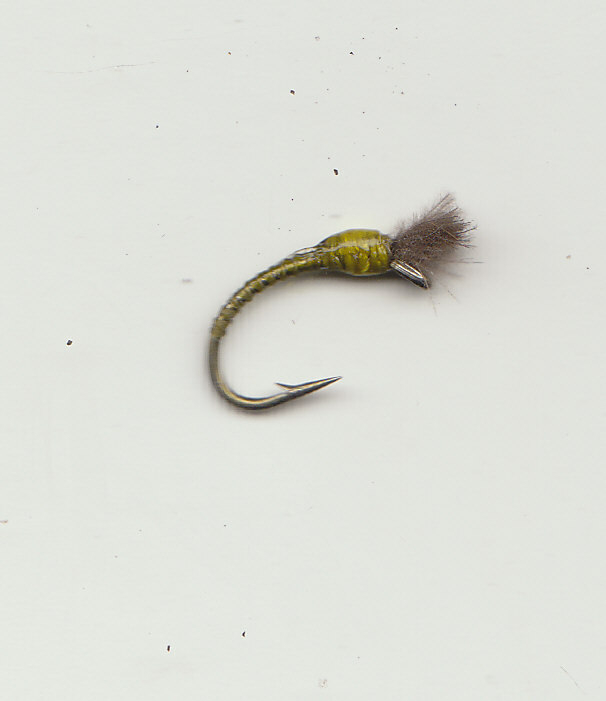 As a basic rule the heavier the point fly the larger the Spiny is usually the best bet.